I am a big Scotch fan. What's everyone's favorite? I want to try some new Scotch. I haven't tried that many varieties, but so far I have enjoyed Glenlivet 12yr quite a bit. Laphroaig 15yr is pretty smoky, but good. At Expo Icrontic 2011, we bought this bottle so that a few of us could experience a drink that was older than we were. It was sublime. Words don't do it justice. Outside of that, I'm a huge fan of woody single malts. I like the occasional peaty scotch, but smoke is where it's at for me. And I also love the Lagavulin 16 year. Had a bartender describe this one once as an oak tree in heat. Glenlivet has always been kind to me. Just looked up this Glenfarclas 1974 and jeeze! With a $250 price tag, it might have to become a Christmas present to myself. Yeah, we pooled six people together to buy it and split the bottle. I believe it was $50/person, or something like that. Totally worth it. The Macallan 18 Sherry Oak or Fine Oak. I actually prefer the Sherry Oak over the Fine Oak for the 18yr. But the 21yr Fine Oak is outstanding! I haven't tried the 21 fine oak. I imagine it's sublime. 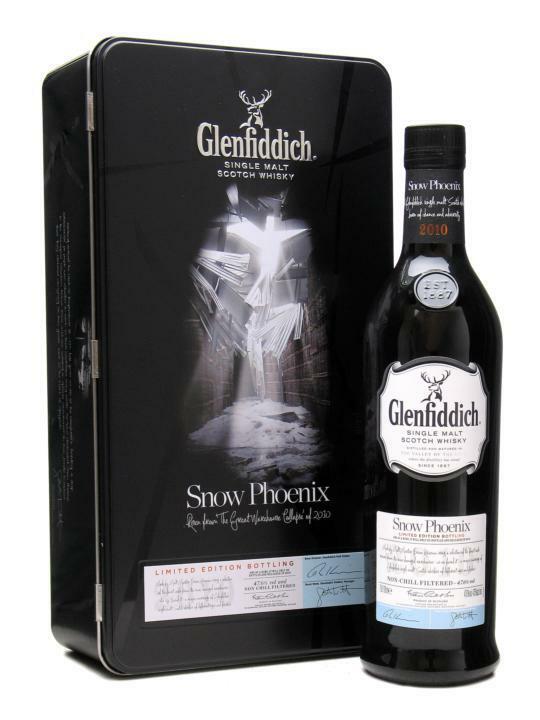 Have you tried any of the special editions or cask strengths? I was way into Scotch for a long time, but always took exception to the overly peaty or smoky varieties. Then I went to a Scotch tasting at Penguicon and they had the Glenrothes Select Reserve. 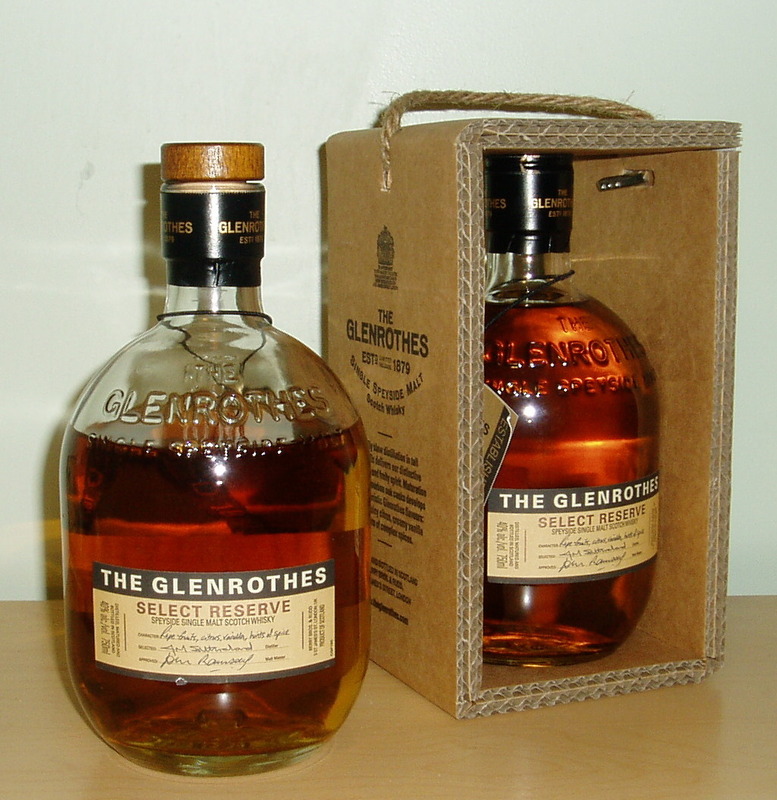 A well-priced single-malt, blended-vintage (Glenrothes does vintages, not ages) Scotch. I found that it fit everything I was looking for in a whisky (or whiskey, depending on the origin) with none of the things I found objectionable in most Scotch. Later, I found that the flavor profile of the Select Reserve is extremely close to Bourbons, and discovered that I actually like Bourbon much better. Glenrothes is awesome. Genevieve and I finished off the Glenrothes 1985 single malt the evening I was laid off. It was a nice touch to a bitter day. How does the 85 compare to the Select Reserve? I've looked at the profiles, and they're all pretty similar. Hard for me to tell, as I haven't tried the select reserve. 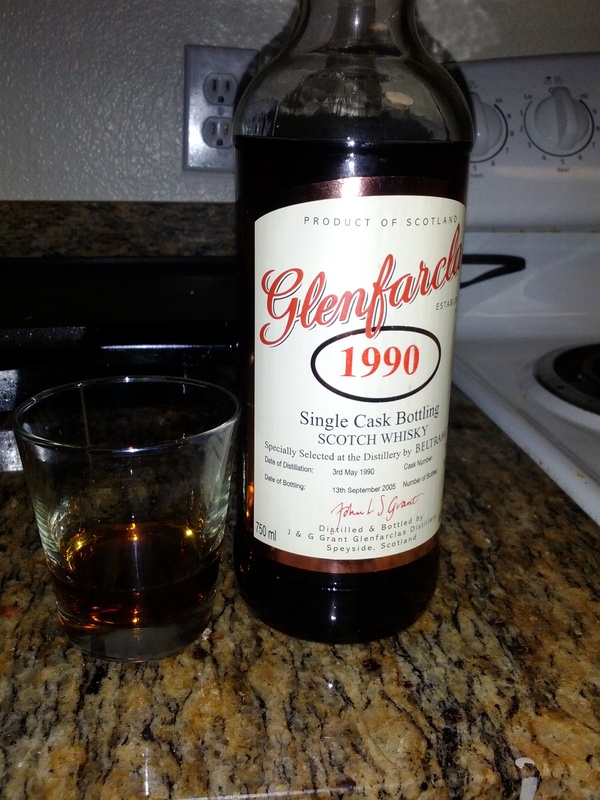 I do know the 85 was fantastic, definitely one of my favorite scotches that I've had. It had a light, nice flavor, not overly peaty, and it had a wonderful finish. Very tasty scotch. Just watched an hour long special on this. The guy who sampled it on the show made a blended recreation of it. I would be neat to try that but I am not sure how to get a hold of it. Oh man, I remember reading about that. What channel was that special on? I'd love to see it. I'm drinking my "first" bottle of scotch. Glenlivet 12, it's surprisingly delicious. I don't know why I didn't drink scotch more before this...oh wait it was $38! Try being in love with stuff that costs $180. That is a 300% increase in price after Sean Connery announced that it was also his bottle of choice. I am referring to 18yr "The Macallan". Tried the 25 and thought it to be a bit 'slimy'. I tried a few vintages and they were OK but would take either 18 over them any day. The cask stregnth wasn't bad and thought it was simmilar to the 12 but noticably stronger. Personally, pretty much anything from Balvenie I'm a fan of, also a lot of stuff from Glenmorangie. 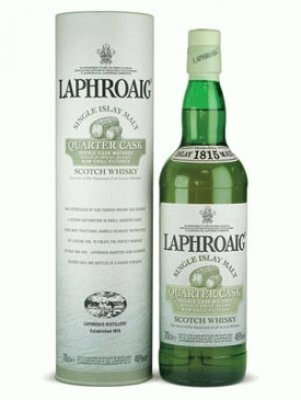 And as lynx said, the Laphroaig Quarter Cask, never though I would like a peaty scotch after tasting the Laphroaig 10yr, but damn the Quarter Cask is phenomenal. Favourite as in what I'd actually buy rather than the best I've had would be Aberlour 10. It's not an amazing whisky but definitely an enjoyable, smooth, speyside single. The first time Mondi showed up at my house, it was with a bottle of this, and to this day it remains the best I've had. I'm pretty sure it was on Nat Geo. I didn't DVR it so it might take sometime for me to find it. I'm debating on scotch again this weekend. I know the local state store has a good selection...we'll see. I have to admit, I thought it was a troll post, just reading the text. I got Glenmoragie 12 this weekend. Much different than Glenlivet, very sweet in comparison. Still like Glenlivet more. Tonight's adventure with @UPSLynx and @Cherplunka. So good. Just making sure @basil sees this. I can, in fact, into whisky. I got that set as well. Glenlivet 12 is very good.